I was doing so well for a while, posting twice a week. Ah well. I meant to post this last week for Easter, but life got in the way. I admire the inclusive, entrepreneurial spirit embodied by the Japanese restaurant that had this in the window. 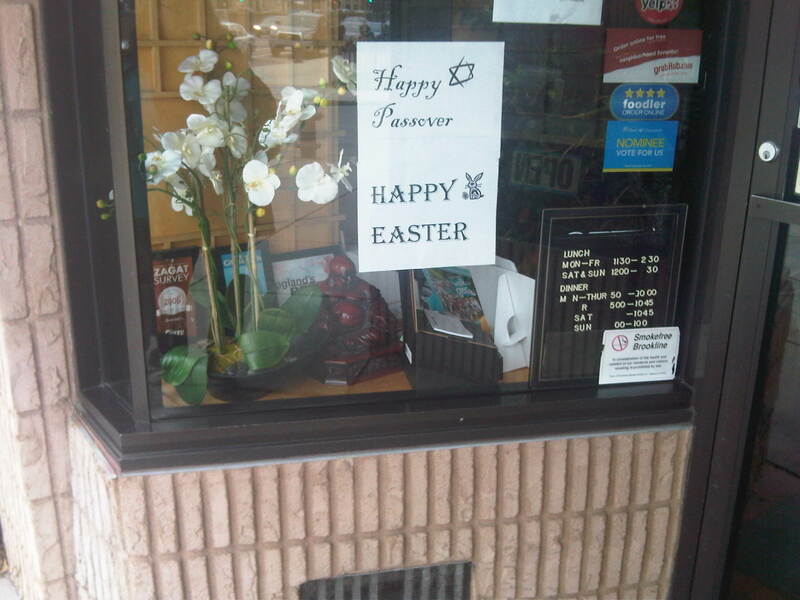 In case you can’t quite make it out, there’s a Buddha through the window.